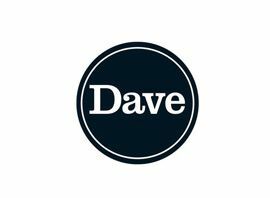 Dave is a television channel owned by UKTV, which is available in the United Kingdom and Ireland. The channel is available on cable, IPTV, Freeview and some satellite platforms. The channel took the name Dave in October 2007, but it had been on air under various identities and formats since October 1998. UK Gold Classics, UKTV´s first digital-only channel, was launched on 2 October 1998 and was only broadcast from Friday to Sunday on Sky Digital from 6pm to 2am, around this time UK Gold began to move towards newer programmes instead of older ones; the ´classics´ line-up included a number of early shows, including some black-and-white programmes, which had been acquired in the early years of the UK Gold service, They also showed some recent shows from the main channel, But the main part of the channel was older shows from the early years of UK Gold. On weekdays, the channel was off air, showing a still caption of all the UKTV channels and start-up times.The ´Classics´ format lasted just six months, the channel ended on March 28th 1999 and from April 2nd 1999, the channel was renamed to UK Gold 2, and screened morning programmes from UK Gold time-shifted to the evening of the same day instead of classic shows. The UK Gold subsidiary channel was again relaunched with a completely new programme line-up and renamed UKG on 12 November 2003. The channel was promoted as being an edgier alternative to UK Gold; like that channel, the output was mainly comedy from the BBC with some shows produced inhouse. A fair amount is similar to the comedy output of UK Play/Play UK before that channel´s closure; however, unlike Play, the channel did not include music videos.Along with the rest of the UKTV network, the "UK" prefix was changed to "UKTV" on 8 March 2004 and therefore the channel name changed to UKTV G2. Initially, the channel broadcast in the evenings only, but during the ´G2´ era the decision was made to expand hours into the daytime; to expand the programming line-up, comedy was joined by popular-factual and magazine shows which were already running on UKTV People (then Blighty. now Drama) such as Top Gear and Airport. On 7 October 2005, it was announced that they would show sports programming. This new line-up was called UKTV Sport and included a new show by the same name. UKTV Sport also had its own logo and DOG. There was talk that this could lead to a channel but it never happened. In February 2006, they picked up the rights to show highlights of the RBS Six Nations rugby union championship, with a highlights show broadcast on the evening of the games previously shown live on the BBC. On 16 March 2006, they announced a deal to air extensive coverage of the 2006 FIFA World Cup as a sub licensing of the BBC´s rights to the tournament. UKTV G2 simulcast the BBC´s live matches, including the opening match between Germany and Costa Rica, England´s game with Paraguay and the final. The channel also showed highlights of every match in the tournament. In August 2011, Dave launched a regular comedy podcast called The Dave Weekly hosted on joindave.co.uk and accessible via iTunes. Presented by Ben Shires, the podcast comprises interviews with comedians like Russell Kane, Jo Brand, Adam Buxton, Paul Foot and Alex Horne along with occasional features.